Hello Gianni. Or should I say “ciao”. I understand that you are interested in buying Bradford City Football Club. And that talks are very advanced. So I thought that I would appoint myself as some form of Bradford City supporter ambassador and say hello. 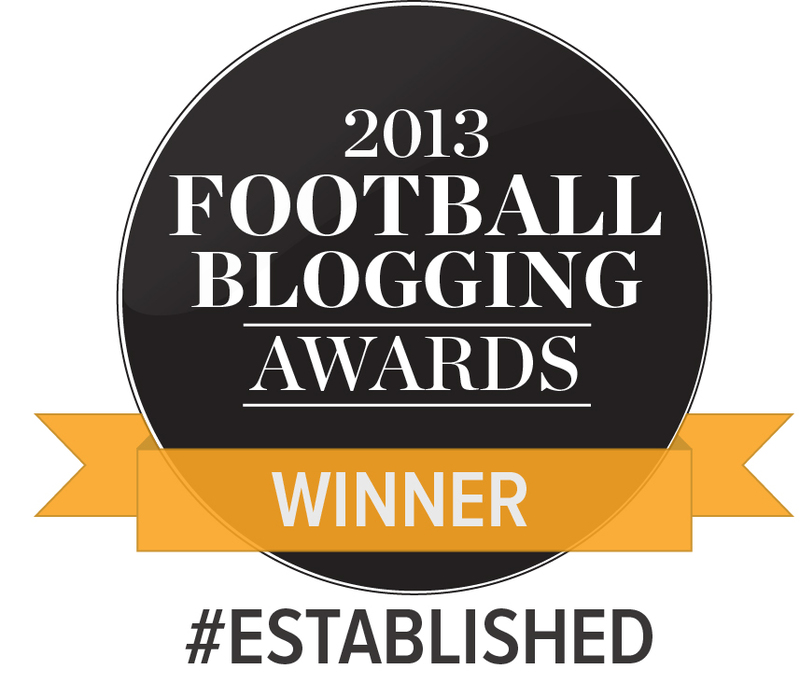 And to tell you a bit more about the football club you could be about to take control of. Of course, you already know much about us after you arranged to make Benito Carbone the highest paid player in our history, back in 2000. Yeah, thanks for that Gianni. Don’t get me wrong. we really enjoyed his wonderful skills, and most of us would agree he is the finest player we have seen in a Bradford City shirt. But, well, the lucrative deal that you got for your client almost bankrupted us. Gianni did you know that, since 2000, the most we have paid for one player is just £50k? That’s only just above how much Carbone was earning every week at Valley Parade. Still, if the rumours are true, I guess you are about to blow that out of the water with the transfer fees Bradford City could be paying this summer. Besides Gianni, we are bouncing back! You probably saw us defeat Chelsea 4-2 on Match of the Day a few months back. That was the highlight of an amazing few years. The things we have seen since 2012, Gianni! The nights against Wigan, Arsenal, Aston Villa (twice), Leeds. We reached the League Cup Final. We were promoted at Wembley. And after the Chelsea win, we defeated Sunderland and made it all the way to the quarter finals of the FA Cup. Did you have any cup runs at QPR, Gianni? The point is we are on our way back. Sure, we lost 6-0 the other night and it was utter garbage. But we don’t judge these players too badly, they have given us so much. Did you know that our main striker used to the stack shelves of the local co-op, Gianni? This is what we are about. We are working class club and we have working class values. We don’t know what ‘Boutique Club’ means. We are from Bradford. Home of numerous pound shops. This is an important point, Gianni. You see Bradford is not London, and those large and vocal Valley Parade crowds you have heard about, they are aided by the cheapest season tickets in the land. £199 they were last season, Gianni. Apparently you used to charge £750 at QPR. Yeah, that sh*t won’t fly around here. You need to understand what we are about Gianni, otherwise you will fail. You need to realise that this team, whilst it has its limitations, embodies the spirit of the fans. We want to cheer on players who give their all, who see playing for Bradford City as a privilege. Sure, they make a good living out of us, but that is not their primary focus. We hear you might give the manager £10 million to buy players this summer, but please don’t waste it on mercenaries who don’t care. We won’t tolerate them. And please Gianni, be very respectful of Phil Parkinson. At QPR you were part of a hire and fire culture that from the outside looked like chaos. Phil has taken City from struggling at the foot of League Two to where we are today. He has beaten Roberto Martinez, Arsene Wenger, Paul Lambert, Gus Poyet and, of course, Jose Mourinho. He has engineered miracle after miracle. Be patient with him, Gianni. He is not your man but he is ours and as a fanbase we almost universally love him. Phil makes mistakes (Aaron would become your problem too if you buy the club, Gianni), but he gets a lot more right than he does wrong. Even with your lengthy list of contacts, I’m not sure if you can find a better fit for Bradford City. What else? Well we wear claret and amber, Gianni. And we are very proud of our unique colours. Oh and we like the name ‘Bradford City’ too. I’m not saying you’d want to change these little things by going on some mad power trip. But we’ve seen other football owners attempt to introduce such strange ideas and we don’t want a repeat. In summary Gianni, we are really proud of what we have achieved over the last three seasons, and the fact we have done it all ourselves. The spirit around the place is fantastic, and our support is the envy of many a club up and down the land. We have ambitions to get into the Championship at least, and if you believe you can help us to do that we may welcome your input (we are not sure we can afford it ourselves). If you want to buy Valley Parade for us that sounds great, although if you are going to buy it for yourself and rent it to us we are not fully sure if we want to get into such an agreement – we’ve had one bad experience of dealing with a landlord. If you don’t understand what we are about, or can’t guarantee you won’t destroy or erode our spirit, then please don’t bother to come along. Don’t derail everything we have achieved just because you are “bored”. 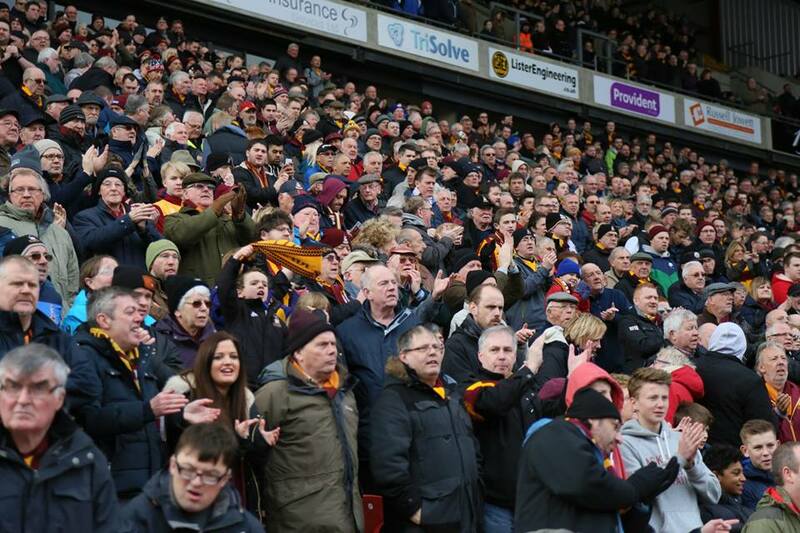 We are an introverted bunch in many ways, and we have enjoyed the idea of having Bradford City fans as owners. We’re not saying you’re not welcome, and that we can’t work together, but we need you to understand our values and our ethics. To care about what we care about. Let us know what you think, Gianni. I read this article sliently but with Joe Pesci providing the vocal – it worked well, very well ! Well said Jason; polite, punchy and provocative……and I think will reflect the feelings (and Values) of the majority of City fans. If the Chairmen sell to Mr P after reading this, then I think they will undo all they have achieved in the last 3 or so years. Turn us into a co-Op and let the fans have a real say. Turn us into a Co-op ….just think we could all then sing “we all work in the Co-op we all work in the Co-op”. What a great article. I am all for this takeover, but the prospective new owners need to quickly get au fait with what we are about as a club , fambase and community, not to mention our ethics and history – or prepare for failure. Thank you Jason. Your article sums up my feelings exactly. If the new owner of City does not treat Phil Parkinson and the current team with respect, then I will certainly be giving him a piece of my mind at the very least. Discarding what has been so hard earned will lead to a decline in the vociferous support that has surely been one of the attractions leading to an offer to buy the club. So preserve what we hold dear. If you don’t, it is at your own risk. Absolute genius Jason. Really hope he and his cronies read it as it encapsulates the spirit and culture of our beloved club. Spot on Jason. There is a true recognition that we are all in this together. From the boardroom downwards this is our club and we want it to stay that way. Of course we would like to see someone put a lot of money into the team, but not at the expense of losing the identity of the club, which is not a rich man’s plaything to be discarded when he gets ‘bored’ again. Unfortunately anybody taking over any football club will just do what they want because they will firmly believe they are doing the best thing irrespective of whether they actually do. In any walk of life any new owner or manager always makes changes because until they do the do not feel they have ‘ ownership ‘. Expect changes at the very least which may be good or maybe not. Lawn & Rhodes won’t sell the club to just anybody. Why waste all the goodwill, community spirit, family ethos, superb football-supportership and deep rooted fan-player bond that BCFC is all about?